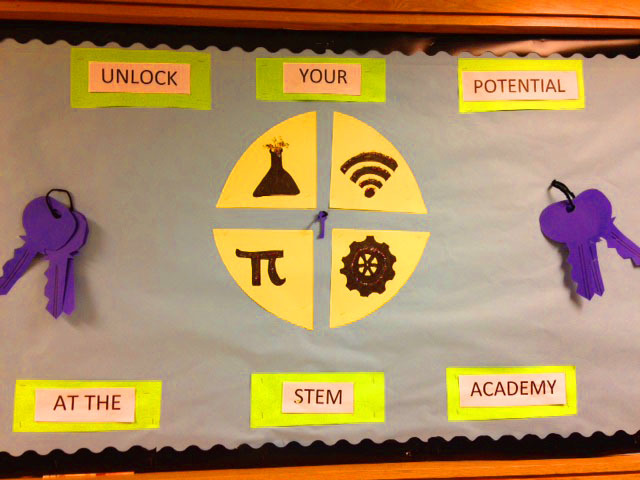 I hope that the many parents who attended our Open House last week had the opportunity to examine some of the bulletin boards in the STEM hallways. For those, who were unable to attend, I’ll describe them and include some photos as well. The 7th and 8th grade art classes had student work displayed on the first floor. 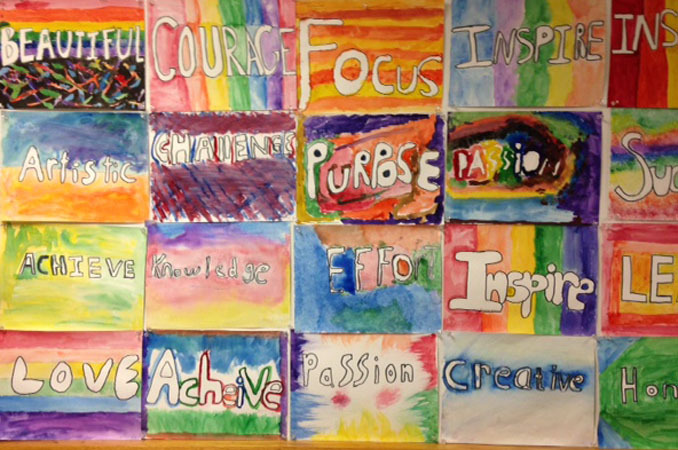 The 7th grade classes studied water colors and negative and positive space to create art with words that embody the philosophy of the STEM Academy. 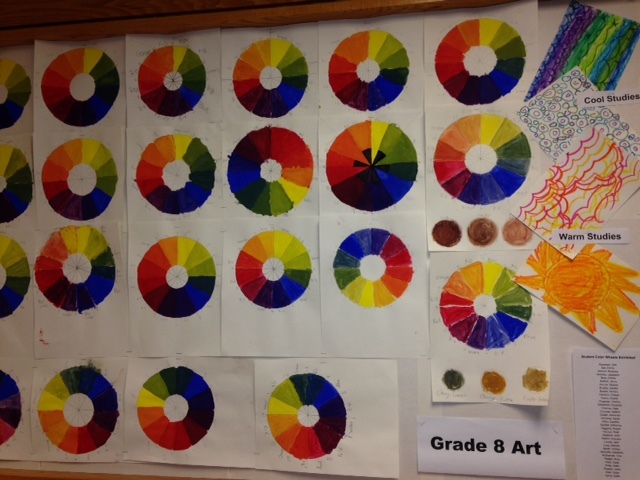 The 8th grade art students, in preparation for a study of abstract art, displayed their color wheels made from mixing the primary colors. “What Is Art?” was a project in which the students chose pictures from magazines and created their own definitions. 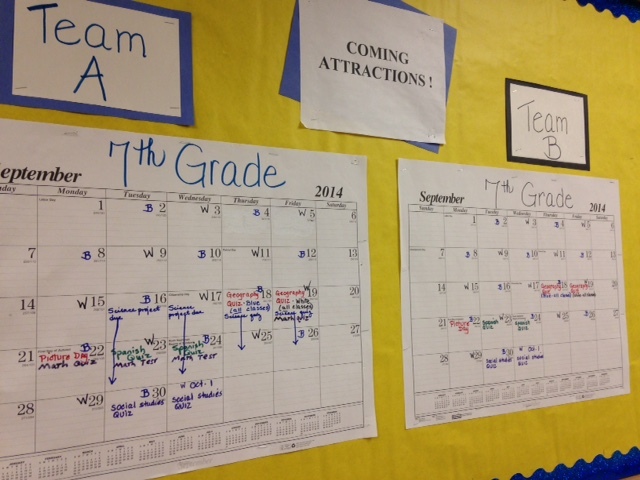 The 7th grade geography program has an interesting display outside the classrooms. The board is filled with the names of jobs and careers that use geography. By studying this it is clear that there are very few professions that do not. The students in all the science classes have been learning what constitutes a good science experiment and how to follow the scientific method. 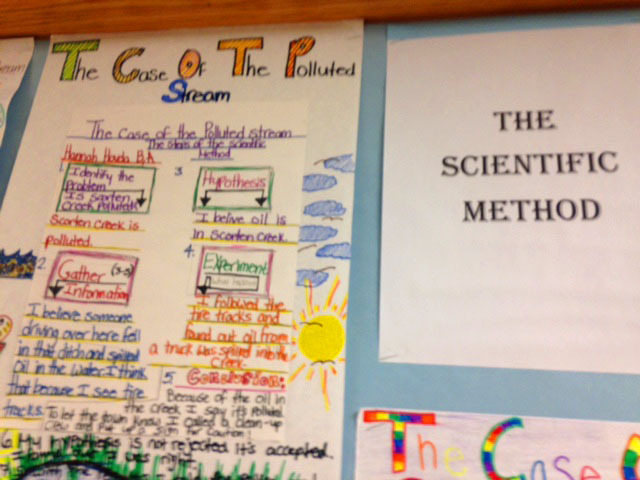 An interesting display on the second floor deals with the “Case of the Polluted Stream.” The students identified the problem, developed a hypothesis, wrote an experiment, and commented on the analysis and conclusions. This bulletin board is helpful to all students – and probably to the teachers, too! 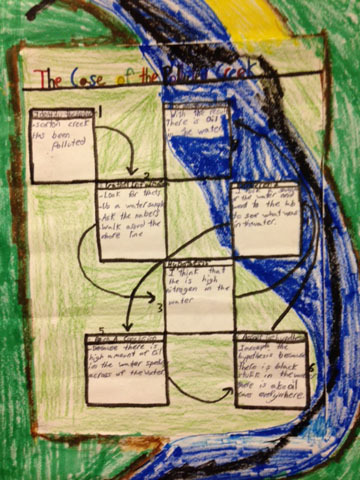 Students love to see their work on display for others to admire and enjoy. We hope to have several events during the year for students to present their work in art, the sciences, and the humanities. The STEM advisory boards will be meeting in October and all teachers will be invited to briefly describe their curricula and programs.